Start by opening the device manager in your control panel. It will provide you with a list of all the different devices found on the system, from touchpad and keyboard to networking and Wi-Fi adapters. Don’t skip this step, because you can’t use the device without a working driver—meaning that without the proper drivers, you can easily find yourself stuck with a nearly unusable machine. By digging into the properties of each device individually, you should be able to find the specific part model name, and information about the drivers. 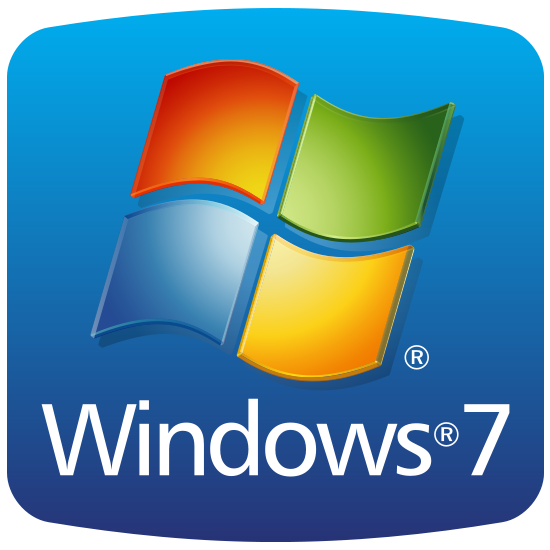 Some searching online will help you discover whether or not Windows 7 drivers are available for each part, but you will often need to track do each driver individually. The one exception to this is when the manufacturer offers two versions of the same model PC—both a Windows 8 configuration, and a Windows 7 version. The first place to check is the PC manufacturer’s product support page. By looking up your specific PC model number, you should be able to locate a list of all the needed drivers for the laptop’s hardware. If you’re lucky, the manufacturer support page includes drivers for both Windows 8 and Windows 7, giving you everything you need for your entire PC. With one of our test PCs, this was all we needed to do, because all the device drivers were available. If not, you’ll need to take it one device at a time. Find the name of the manufacturer for each device and search for that company’s website, which should have its own driver download page. If even this doesn’t seem to help, you can always fire up your search engine and search for “[Device name] + Windows 7 Driver.” That should bring up plenty of resources. Be aware, however, that for some newer devices, drivers may not be available for Windows 7 and older operating systems. 3. You’ll need Windows 7 installation media on either a disc or on a USB Key. Unlike past PCS, which would let you access the BIOS at startup, you’ll need to first enable Advanced Startup Mode. Open Settings by going to the Charms Bar and clicking on the Gear icon. Select “UEFI Firmware Settings”—you may need to first select “Tools and Settings” and then “Advance Options”—and then follow the prompt to restart and change settings. Once into the Boot Options menu, you will first find “Secure Boot” and disable it. Still in the Boot Options menu, find “Legacy Boot” and change it to enabled. You will now be able to boot into your Windows 7 installation media. Depending upon whether you will be installing it from a disc or a USB key, you will want to change the Legacy Boot Order so that either the optical drive or USB device take priority. Finally, exit the BIOS, saving changes. 5. With Legacy Boot enabled and your boot order changed, you should now be able to boot into your installation media to begin installing Windows 7. The next step is to choose the destination drive for the installed OS. At the very least, you’ll want to install Windows 7 to your C: drive. If you want to wipe Windows 8 completely off of your system, this is the time to do it. Select the various partitions on the hard drive and go through the process of deleting each, and consolidating the free space. This all handled in the installer, which gives you the option to delete or format each partition as it’s selected. But beware—this is the Rubicon of OS installation. Once those drives are gone, they are gone, and rebooting the system without finishing the Windows 7 installation will leave you with a PC that has no operating system. Next, the installer will go through the process of extracting and expanding all of the necessary installation folders. Kick back and relax for a while, because this part is automatic. During this process, the PC will also restart on its own—don’t panic, that’s just part of the installation process. Finally, your laptop will boot into Windows, and you should see a more familiar version of the Windows logo come up. Once you boot into Windows, you’ll be asked to provide a 25-digit Product Key. You can proceed without one, but you’ll be forever hounded by warnings about using a pirated version of Windows, even if it’s a brand new store-bought copy. 6. Reinstall any missing Drivers and run a Windows update.